One was a candle maker and the other a soap maker. One came from England, the other from Ireland, and they both met in Cincinnati, a destination that neither could have imagined. 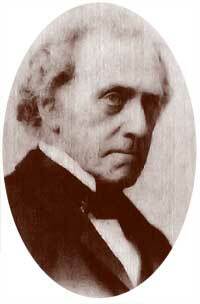 William Procter emigrated to the United States in 1830 from England. He was born in Herefordshire England in 1801. In England he had a woolens shop that was that was destroyed from fire. Disgruntled, Procter left England for America and upon arriving here he worked as a candle maker in New York. Not exactly sure where to settle he and his wife Martha set off on a journey down the Ohio River looking to find America's frontier. On this river trip, Martha took ill and they were forced to stop in Cincinnati so she might find some medical treatment, but regrettably, Martha died from her sudden illness. Perhaps William lost his desire to move on, or perhaps he just like what he saw, or perhaps he couldn't face leaving his wife. Whatever the reason, William decided to stay in the Queen City and once again began making candles. James Gamble immigrated with his family from the famine-starved Ireland in 1819. Much like Procter would do later, Gamble wanted to move to the frontier, however, he was stricken with an illness requiring medical attention which landed him in Cincinnati. James found a job as an apprentice to a soap maker. In time, both men began dating girls that turned out to be sisters: Olivia and Elizabeth Norris. It was during this courting period that the 2 men first met and it was their father-in-law that first suggested that the two men might form a business partnership making candles and soap. In 1837, in fact, on Halloween in 1837, they signed the formal partnership agreement and made a pledge to each other to contribute a little over $3500 each to form the new enterprise. At the time, the United States was on the verge of a major financial crises that would last a full six years. Bank failures ushered in the greatest economic decline in the country to date. They operated their joint venture out of a storeroom at Main and Sixth streets. William Procter operated the store and his partner took care of the manufacturing. Part of that process involved going to as many nearby hotels and steamboats to collect scraps of meat and fire ash that were both required in the soap-making. But it was the candle making that helped the company make it through the difficult times. In time, though it would be the soap making that would take the business a great success, but that would take a fortuitous accident many years later. The Moon and Stars first began appearing in the 1850s as the unofficial trademark of Procter & Gamble. Wharf hands used the symbol to distinguish boxes of Star Candles. By the 1860s, the Moon and Stars appeared on all Company products and correspondence. Once a staple of the Company's product line, candles declined in popularity with the invention of the electric light bulb and the Company discontinued candle manufacturing in the 1920s. During the Civil War, Procter & Gamble was awarded several contracts supplying both soap and candles to the Union armies. These orders kept the factory busy day and night, building the Company's reputation as soldiers returned home with their P&G products. 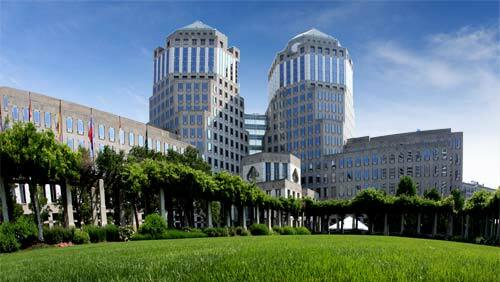 Now to that accident that made the company P&G, a household name. In the 1878, Procter & Gamble began to market a new soap product. This new soap was a high quality bar of soap, but with an inexpensive price tag. James Norris Gamble, son of the founder and a trained chemist, developed an inexpensive white soap equal to high-quality, imported castile's available in many higher price emporiums of the day. Inspiration for the soap's name — Ivory— came to Harley Procter, the founder's son, as he read the words "out of ivory palaces" from Psalms 45:8 ("All thy garments smell of myrrh, and aloes, and cassia, out of the ivory palaces, whereby they have made thee glad.") one Sunday in church. The name seemed a perfect match for the white soap's purity, mildness and long-lasting qualities. During production one day, a worker accidentally left the soap mixer on while eating his lunch. This created more air in the final product than it was originally intended. Shortly after that, the company started receiving orders for their bars of soap that float which caused some confusion because they didn't sell a soap that floats. After some investigating, they found out what happened. Recognizing the marketing value of this fortunate accident, they changed the formula for the white soap to include the extra mixing. The air actually made the soap lighter than water, causing it to float. Procter & Gamble then began marketing Ivory soap bars as the "Soap that Floats." In the decades that followed Ivory's development, Procter & Gamble continued to develop new products, but Ivory Soap remains in production today and is, perhaps, the company's most well-known product.